Evangelical Fellowship in the Anglican Communion (EFAC) came into being in Calabar many years ago. To build up and mature the saint in faith. To revive some dying groups within the zone. To raise up leaders of sound leadership qualities. To help in church planting in the Diocese. To raise up youths that have a deep commitment to Christ and develop them for future leadership. To set up a smooth administrative machinery for running the ministry of EFAC in the zone. To build more guest houses to make EFAC center look more like a camp center. To build a tent house that will contain about five thousand worshippers at a sitting. To build business centers that will be a money yielding venture to reduce financial load on the brethren. To maintain adequately all the structures and equipment handed over to the new leaders by our immediate past leaders. To effectively represent Calabar zone at the national level and eastern block and to fulfill all our financial obligation to each of the level as and when due. To organize Revival/Teaching programmes at all levels of the fellowship. To organize the zone for proper Evangelism through gospel outreaches in the Diocese. To have adequate team visitation to both the area and group fellowship. To organize Retreat/Revival in local churches where EFAC is not existing and in the course EFAC is not existing and in the course, plant an EFAC group there. To liaise with the Diocese leadership orientation/training programme both at the group/area and zonal level. To regularly organize leadership orientation/training programme both at the group/Area and zonal level. Give scholarship award to youths to encourage quality education in the zone. The EFAC Calabar zone has continuously been involved in developing human power for the Diocese. Through the ministry of EFAC many Evangelist, Pastors, Teachers, Leaders, Musicians and Priests have been raised in the Diocese. At the church, Parish, Archdeaconry and Diocesan levels have produced committed church workers ranging from local church committee members, peoples and pastor’s warden in churches, treasurers. Sunday School Teacher, Leaders of Zones, other organizations etc. This is a programme design to train and retrain leaders of the fellowship at all levels from the zonal, sub-zonal and group grass root level. This training and retraining programme is a typology of discipleship where leaders are raised to raise others. This training programmes hold three times every year (January, March and September). EFAC of this zone meets in churches twice in the week for Bible Studies, prayers, Evangelism and fellowship. This is a general programme design for the women forum of the fellowship. It embraces both the younger and older women. It is a peculiar meeting where women related problems are handled. The EFAC Ministry is involved in mission work and church planting in the two Dioceses that make up the zone. One month mission work and church planting is organized in the month of April and August respectively. The zone organizes workshops foreconomic empowerment for both the youth and adult applicants. Here skills are thought which can be utilized to start small scale industries to enable us over power poverty. This is one whole designated for EFAC activities in zone. It futures: Revival, retreat, chuch platning, crusades in all churches that make up the Dioceses it is held. The zone runs fire conference that holds every last Thursday to Saturday of August yearly. It is a power refreshing conference. It is a praying and fasting meeting that holds for three days in January the beginning of every year. It is a programme designed to bring all the different churches that make up the sub-zone to worship in a designated church and also have their fellowship. It is organized three times in a year (March, June and September). This is a major and the highest revival programme of the EFAC ministry. This features both the clergy and their wives and the general convention of the ministry. It is held in third (3rd) week of December yearly. 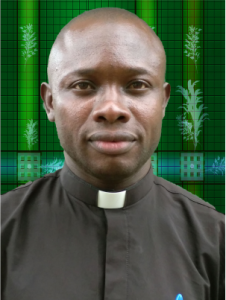 EFAC over the years have been involved in the training of clergy men in Calabar Diocese. EFAC has helped in building worship church house for some missionary churches in the Dioceses. Also the ministry is strongly involved in payment of salaries to some pastors of the missionary churches. EFAC of Calabar zone over the years have been awarding scholarship award to secondary school students and students of higher institutions. The EFAC of the zone is developing a conference center for retreat, conferences and camp meetings. We have built a mini-conference hall and one guest house and recently we are developing a shop plaza round about the center. The ministry bought three (3) tent of meetinghaving a capacity of 2 to 3 hundred people per room. It is still in use till today. The zone at diverse times have had a general donation to support the financial needs of the Diocese. EFAC in this zone have recovered so many people from the grave of darkness and have disciple same for the kingdom of Christ.